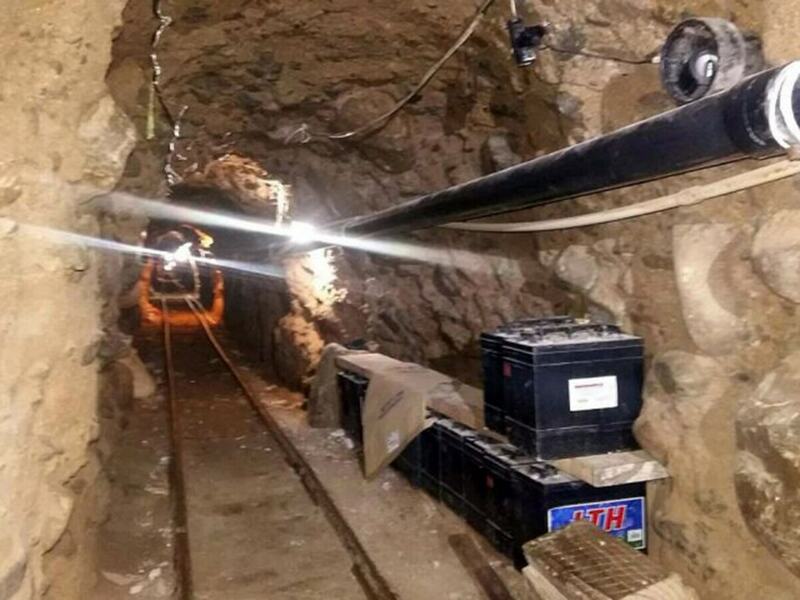 The railway tunnel is one of the longest ever found under the border and is thought to have been used by the Sinaloa gang, who control the region’s drug trade. US and Mexican officials raided the 875 yard – nearly nine football pitches – long tunnel on Wednesday, running from a warehouse in Tijuana, Mexico, along the west coast of America to a warehouse in San Diego. The sophisticated tunnel ran 10 metres underground and had lighting, electricity and metal beams to prevent a cave-in. 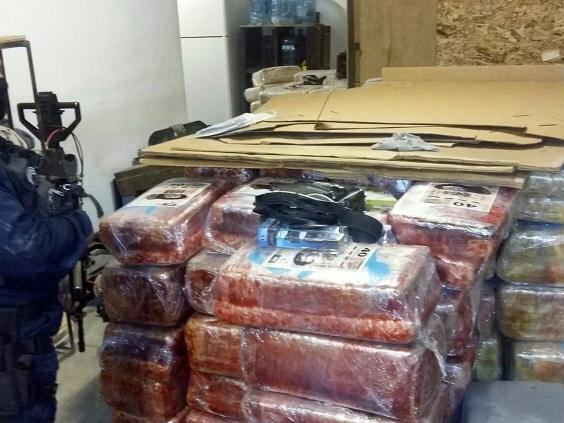 Authorities claim to have confiscated at least 12 tons of marijuana and arrested 22 people in San Diego and Tijuana, and was the culmination of a six month investigation into the gang’s drug deals. The drugs are thought to have a street value of around £4million. We see a super tunnel open for business once every year or so. Just when they think they’re ready to move, we put it out of business. 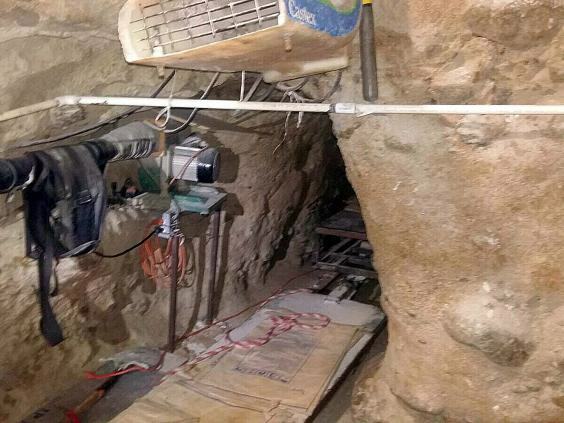 Sinaloa gang leader Jaoquin “El Chapo” Guzman has been on the run since his escape from prison in July using a tunnel system, and narrowly evaded capture by police earlier this month. His gang are thought to be masters of building underground tunnel systems.